Back in July, we were given first-look photos from the upcoming BBC miniseries Les Misérables, an adaptation of Victor Hugo’s classic 19th century novel of the same name. Among its principal cast is David Oyelowo, who is designated to play the antagonist Javert. 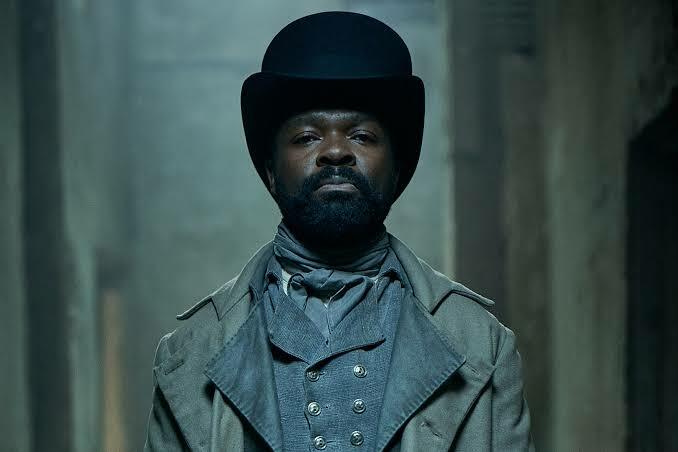 Although a striking image of Oyelowo as the dogged lawman Javert in the first look, we had no idea how much the actor would embody this villain. Well, until now. The first trailer for the series was released over the weekend and it opens with Lily Collins (Okja, Mortal Instruments: City of Bones) as the character called Fantine in a boat. The backdrop is the French civil unrest, and the synopsis says that the series will “faithfully bring to life the vibrant and engaging characters, the spectacular and authentic imagery and above all, the incredible yet accessory story that was Hugo’s lifework.” Unlike the 2012 film, this new iteration will have no musical. Instead, the series is going to explore Hugo’s celebrated novel more deeply, with the focus on the relationship between Jean Valjean and Javert, the former played by Dominic West (The Wire). Other cast members include Ellie Bamber as Cosette, Josh O’Connor as Marius and Erin Kellyman as Eponine. Although Led Misérables is one of the most lauded works of French literature, most people are familiar only with the musical, which is the world’s longest running musical, this being its 33rd year (it began in 1985). Penned by Andrew Davies (Pride and Prejudice), Les Misérables was shot in Belgium and France and will begin airing next year. Check out the trailer below.